Is there any special price for Student or Teacher ? Do I need a DAW to use Orb Composer ? No. You can use it with your DAW but Orb Composer S uses his own VST host system. 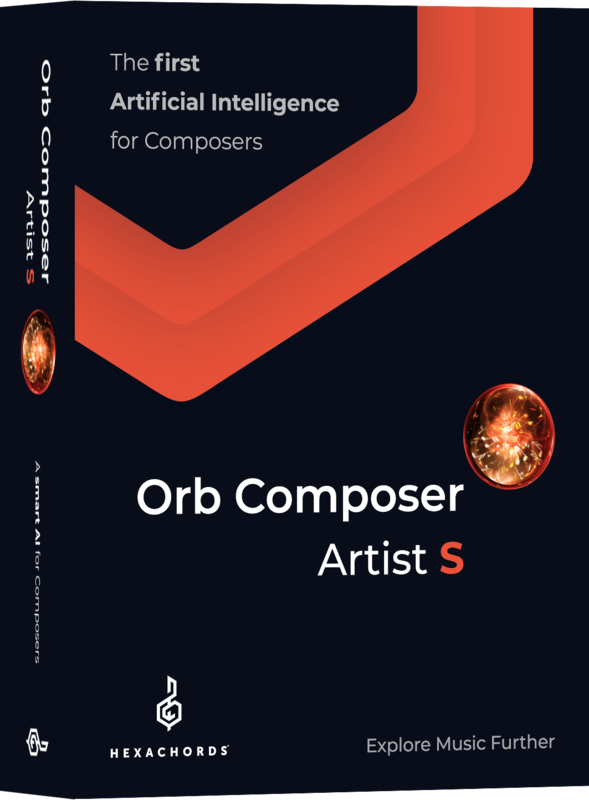 Orb Composer can run as a stand-alone software and can be connected to a DAW. Does Orb Composer include sounds ? Yes : Piano and drums. But you will have to use some VST's. Orb Composer syncs to your DAW and your VST instruments. Orb Composer embeds virtual MIDI cables connection too. Can I use my own VST instruments ? Can I use my synths? Can I create my own chords and chord progressions ? Yes you can. Orb Composer provides a huge list of those as well. Can I use my own melodies ? Yes you can import them as MIDI files. Orb Composer can propose melodies as well. Are the compositions created with Orb Composer mine? When will I receive my Orb Software ? You will be notified and you will receive a link to download the software sources and the manual. A support team will be available to help you anytime! What kind of DAW can I use with Orb Composer ? Here below you will find DAW details and compatibilities. Alto Flutes, Contrabass Clarinet, Contrabassoon, Bass Trombones, ContraBass Trombone, Cimbasso, Contrabass Tuba"
*1 : if the option Support for AU, VST2, and VST3 plug-ins and ReWire applications is purchased on presonus"